As technology becomes increasingly intertwined with almost every aspect of our lives, so too can the reach of those who may seek to do others harm. Social media and other technology means bullies can now have access to their victims 24 hours a day. As with so many social problems, the response to this serious issue must be measured and proportionate. Far from looking simply to criminalise such behaviour, the Hodgman Liberal Government are committed to a range of measures ensuring only the most serious cases of such behaviour come to the attention of the criminal justice system. Rather than responding to escalating bullying behaviour when it is far too late, the Government’s key focus is addressing the issue upfront. That is why the Government is investing $3 million over four years to combat bullying and cyberbullying in all Tasmanian Government schools, and since 2014 we have employed over 63 support staff to provide more social and emotional support where needed. Our schools are utilising the Respectful Relationships Education resource, and recently, the Government partnered with Relationships Australia to deliver the Speak Up Stay Chatty program in schools over the next four years. We know that cyberbullying and bullying is also a national law reform issue, with the national effort an important body of work that will inform our work here in Tasmania. 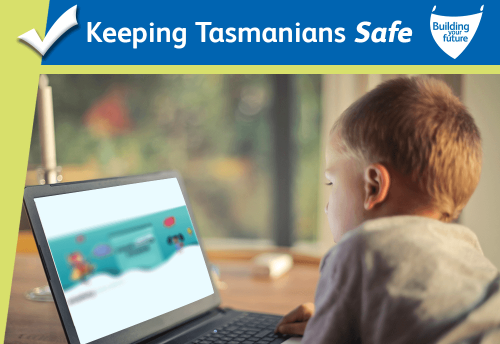 The Enhancing Online Safety (Non-consensual Sharing of Intimate Images) Bill 2018 recently passed the Commonwealth Parliament, and Tasmania is contributing to COAG’s reform agenda in this space through the Council of Attorney-Generals and the Education Council involving all States and Territories. Regrettably, recent tragedies in both Australia as well as internationally have shown there remain instances where serious bullying behaviour and its consequences is so severe the criminal justice system must step in. However, it is the view of the Government, supported by the Tasmania Law Reform Institute, that Tasmania’s current legal framework does not adequately address serious bullying behaviours that cause serious or fatal harm to others. That is why, as Attorney-General, I am prioritising and pursuing reform to amend Tasmania’s laws so they can better capture such conduct. A draft Bill was released for consultation in early December last year, and all members of the public were invited to have their say. Consultation closed early February, and all submissions will now be carefully considered before a Bill is introduced into Parliament. I would like to thank everyone who contributed during this process, and who provided valuable feedback on the Bill which addresses this most serious issue of cyberbullying. The Government absolutely recognises it is important we do not unnecessarily bring people, especially young people, before the courts. To reflect this, the Government’s reforms include a safeguard which provides that a prosecution must not be commenced without the consent of the Director of Public Prosecutions. This will ensure only the most serious examples of bullying and cyberbullying will be criminally prosecuted, and only when it is in the public interest to do so. To be absolutely serious and resolute about addressing this issue, authorities must have the range of tools they need to respond to all levels of bullying. The reforms the Government proposes complement the host of measures we are already undertaking, as well as work being undertaken at a national level, to reduce this scourge on our society. It is only through a coordinated approach such as this that, together, we can work towards addressing such behaviour that can have devastating and long-lasting impacts on its victims and their families. Bullying can have devastating impacts on people, their families and the wider community and the Hodgman Liberal Government is determined to do all we can to stop it.